The Knitting Ranch | "Where Suns Set and Dreams are Knit"
"Where Suns Set and Dreams are Knit"
I, at the Knitting Ranch, am not terrific at keeping up on blog posts but I have vowed for my New Year’s resolution to post at least once a month, so here we go! Knitting and Project Bags, that also double as great travel and weekender bags, have been my sole concentration here at the Knitting Ranch over the past year. My own designs have lead to the hand crafting of several variations all in which I use only the most luxurious upholstery fabrics, high quality leather hides and sturdy hardware when creating these one of a kind project, travel or weekender bags. 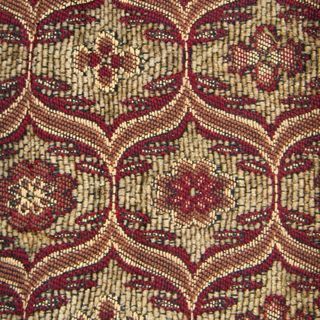 My inspiration draws from the quintessential simple, sturdy, and spacious carpet bag that has proved to hold strong since the beginning of the 19th century. My inspiration lies not only in the bag itself, but in the strong legendary women behind the bag. Most of my life I have lived in Colorado and have come to know, admire and cherish the stories of the legendary women of the “wild west”. My new line of bags pays homage to women such as Annie Oakley, Belle Starr, Miss Kitty and Calamity Jane. Keep reading for more information on this new travel and weekender bag line, a line where luxury and durability compliment each other, much like that of the western land. Offhand Designs new summer fall 2012 knitting and crochet bags are ready for pre-order at the Knitting Ranch. Offhand Design makes custom, limited edition knitting and crochet handbags in many sumptuous textiles. Here at the Knitting Ranch, we are going to highlight a different style each day. This is a great bag for carrying medium size projects. The Scottie measures 10″H x 18″W x 6″D has 20″ double strap handles, and a detachable, adjustable strap that will easily stay on your shoulder. She features six interior pouches to hold you yarn and other essentials as well as a zippered pocket. 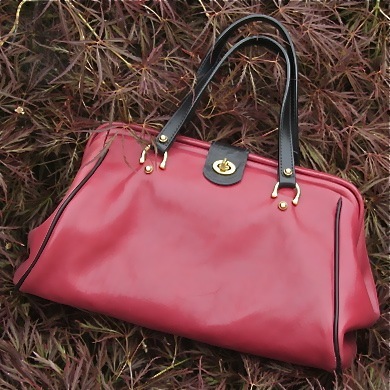 A 13″ doctor’s frame allows this lovely bag to open wide so you can see everything inside. The magnetic flap closure keeps everything inside safe and secure. All Offhand Designs bags are custom, limited editions made in the San Francisco Bay area. We love the Scottie for it’s light, easy to carry, go anywhereness! Is that a word? It is now! Offhand Designs has come out with some amazing fabrics this season, including leathers as featured here. Pre-ordering now will ensure you get the style and fabric your heart desires. My favorite is the… Well they are all my favorites. I just might need to get one in each, because they are all so beautiful. 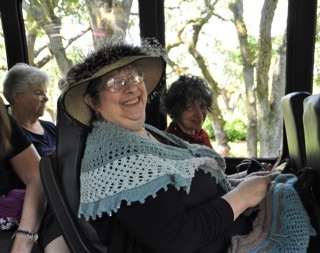 Knitting Ranch held their first annual knitting retreat. It was totally amazing. Women traveled from all over the United States to attend. Ten of the ladies were fellow ravelers from the Knitting, Bag, Love group on Ravelry. They also belong to the Knitting Ranch group. Everyone had gotten to know each other through these groups, but had never met each other. When everyone came together, it was as though we had all know each other for years. Two of the women, I met at my booth at Stitches West. And the other two were Sivia Harding followers. Although it was a diverse group of women, everyone got along swimmingly. Of course being in such a beautiful setting doesn’t hurt. Thursday, was the day of arrival. I arrived early to set the mood. (Should have arrived a day early!!) Offhand Design, graciously made one of a kind Tonyas in Adelaide, Isabelle, and one of the 2012 fabrics, Chabot. To everyone’s delight, they were glamorous! Each one was filled with Luxurious yarn from Sincere Sheep, and a custom stitch marker (hat, horse, horseshoe, boot, or saddle) from Knitting Ranch. And of course “Sister Joan”, Sivia’s new pattern that she debuted for the retreat. Friday morning we started out knitting Sister Joan, a crescent shaped shawl. Sivia spent some time showing several shawls she brought along and discussed the different shapes. She is currently working on crescent shapes because she loves them for their versatility. There are various ways you can where them. Draped across your shoulders, as a scarf, or my favorite, with the crescent on one shoulder and clasped with a lovely shawl pin at the opposite shoulder. Sivia is an awesome instructor. She is very patient and is happy to incorporate her teaching style into any group. 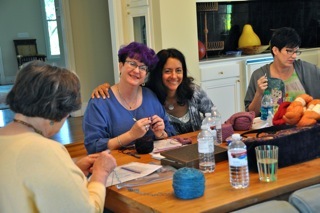 The knitters at the retreat varied in skill levels from intermediate beginners to advanced knitters. Everyone was successful at beading and knitting the shawl. Sivia makes beading seem very easy. Knit the stitch indicated, place back on the left hand needle, put your bead on a #14 crochet hook, pick up the stitch from the left hand needle onto your crochet hook, flick the bead over the stitch, and place on the right hand needle. She demonstrates this beautifully in all her patterns that require beading. I had never beaded before this and wanted to give it a try prior to attending the retreat. 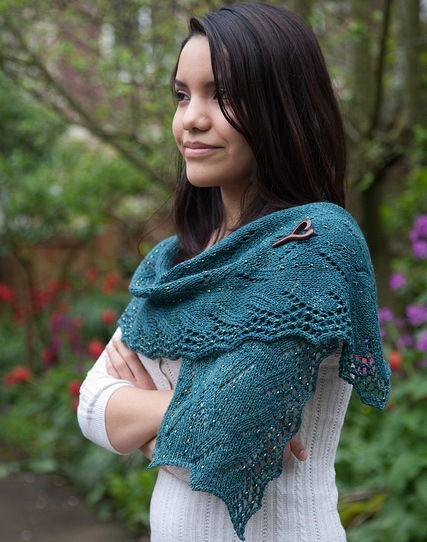 I followed her instructions in the “Ophidian” shawl pattern and it was really quite simple. Saturday morning was reserved for knitting and massages provided by Desiree Miceli. What a treat this was. A very soothing, therapeutic massage is sure to make anybodies day! 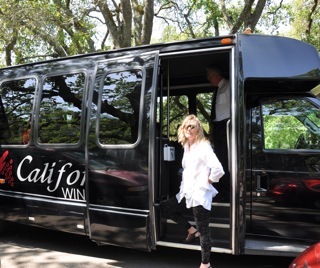 In the afternoon, we were picked up by our very own limo bus and went off on an excursion to an Olive oil tasting followed by a visit to a winery and a picnic. 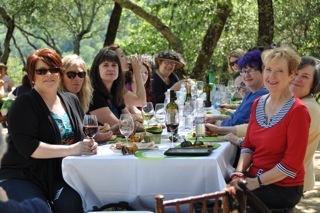 Larisa and Heather from Offhand Designs joined us for the outing. I don’t think anyone could have asked for a more beautiful setting to knit, have a glass of wine and get to know new friends. Saturday evening, back at the Blue Oaks Estates, Larisa and Heather set up their showroom in the wine tasting house where we gathered each evening for dinner. We were treated to a preview of Offhand Designs 2012 Fall/Summer lineup. Larisa designed three new bags for the season, Marcella, Iris, and Watson. The fabrics and colors are amazing. I’m sure there is something for everyone. Marcella, Audrey, Scottie, Zhivago, Nina, Circular Clutch, Switch Clutch, Iris, and four different leather styles to choose from. (Watson, Suzannah, Claudel, Claudelle. Marcella — This classic design, detailed with sophisticated pleats, makes the Marcella the perfect go-anywhere bag you’ve been looking for. Marcella features comfortable handles stay on your shoulder, lots of pockets for essentials, yarn, and so much more. She stands wide open on her own so you can see everything inside easily. Sleek, secure closure – nothing falls out. Available in many plush, beautiful, limited edition textiles. 15.5″W x 13.5″H x 6 “D, 26″ straps, 3 inside pockets, 3 inside pouches and zippered pocket, 2 exterior pockets, 13” doctor’s frame closure. 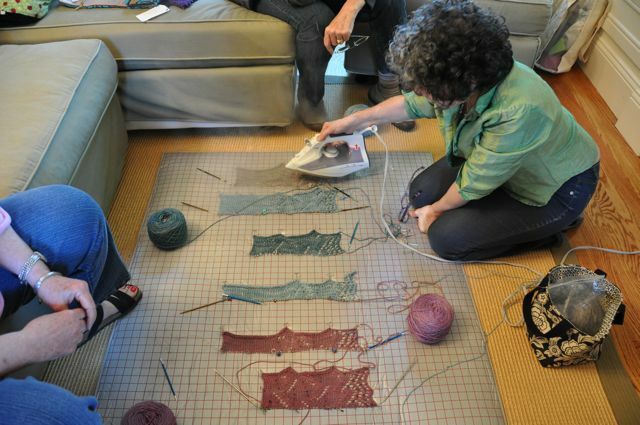 The house, 10,000 square feet, with several areas to meet and knit in, did not disappoint! Each morning we all gathered around the kitchen where breakfast (fresh fruit, bagels, cream cheese, and lox, eggs, coffee, tea, and juice) was served. with all the necessary ingredients one would wish for at any knitting retreat! Wine tasting, yarn tasting, and knitting galore with Sivia to guide you. books. Sivia is known for her work with exceptional beaded knits. exclusive color way just for this shawl. a queen size bed and the loft has 3 queen size beds. of Blue Oaks Estates Winery. and a 3 hour question and answer session. ~Massage can be scheduled on the pool deck to start your day. 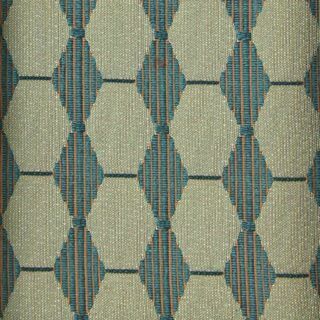 especially the exclusive pattern designed for our retreat. which we will have time to leisurely knit and hang out with friends. 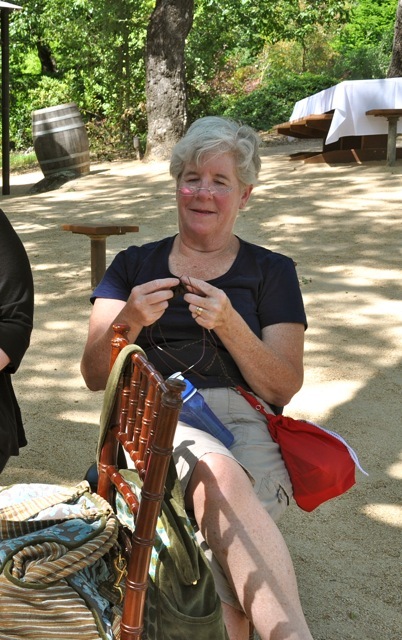 We will be with Sivia for the knitted jewelry class in the morning for 3 hours. have free reign of the warehouse and be able to shop to our hearts content. yarns, lace to worsted weight, that will do any shawl justice. If time allows, we can stop at other marvelous fiber arts destinations. away. Silverado Country Club. I am working on rates. 50% nonrefundable deposit required at time of registration. Balance due May 1st, 2012. The new Spring 2012 Offhand Designs Vintage Knitting/Crochet Handbags are in production and scheduled to be released late January. Knitting Ranch is taking orders and they are going fast! Several have said, “This is the best Offhand Designs’ have ever offered”! Twelve irresistable sumptuous new textiles. Offhand Designs prides itself in creating handbags, totes, knitting bags, and needle clutches in limited edition exquisite vintage velvets, brocades, and chenilles. The Spring 2012 line-up will surely not disappoint. There are nine new color-ways smashingly made into Scotties, Zhivago Weekenders, and yes, the Audrey and Zelda Grande are back! There is a style and fabric for everyone. Maybe two or three! They are durable with numerous interior pockets of varying sizes, snap shut frame closure, and a tight magnetic snap closure. These bags will shoulder all your needs including that knit/crochet project you just can’t leave at home. You are done making all your Christmas gifts, now get a gift for yourself. Merry Christmas today; Happy Valentines tomorrow. What a sweet present to look forward to! Get to the Knitting Ranch before they are all gone. 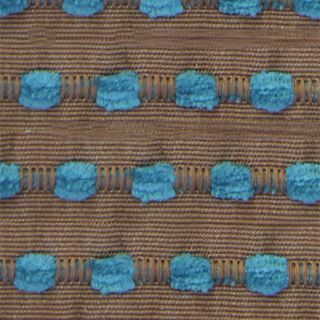 “These are some of the most amazing fabrics I have seen Larisa use in her designs yet. There isn’t a fabric that I don’t like”! ~Adelaide~ Purple, gold, and green velvet. Rich and regal. Available in Audrey, Zhivago, Scottie, Zelda Grande, Nina, Switch, & Circular clutches. ~Charlotte~ Black and White geometric print possibly chenille, with grey velvet accents. Snaz up any outfit. Available in Audrey, Zhivago, Scottie & Zelda Grande, Nina, Switch, and Circular clutches. ~Isabelle~ Burgundy on creme, vintage velvet with brown velvet accents. Another regal accoutrement. Available in Audrey, Zhivago, Scottie, & Zelda Grande, Nina, Switch, and Circular clutches. ~Eleanor~ Blue Velvet Stripe with Blue velvet accents. 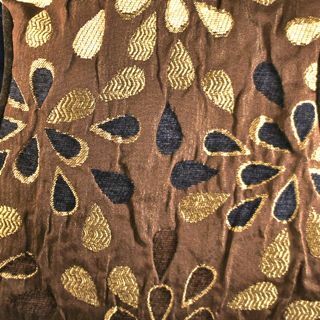 A smashing fabric that appears shiny and rich. Available in Audrey, Zhivago, Scottie, & Zelda Grande, Nina, Switch, and Circular clutches. 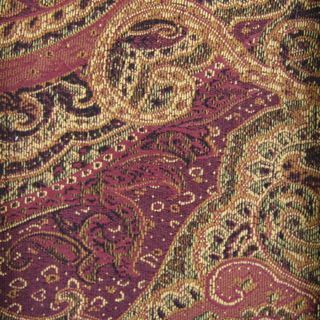 ~Catherine~ Burgundy, creme, and olive brocade tapestry fabric, with brown velvet accents. Elegant and stunning. Available in Audrey, Zhivago, Scottie, Zelda Grande, Switch and Circular clutches. ~Marie~ Deep pink with Orange flowers. Brocade with grey velvet accents. Sure to be a hit this spring. Just in time to help you get over the winter blues. Available in Audrey, Scottie, & Zelda Grande, Switch, and Circular clutches. ~Joan~ Red and tan velvet with brown velvet accents. This print is fun and vivacious. It will go with anything. Available in Audrey, Scottie, & Zelda Grande. ~Margaret~ Creme with peach vintage velvet. Brown velvet accents. 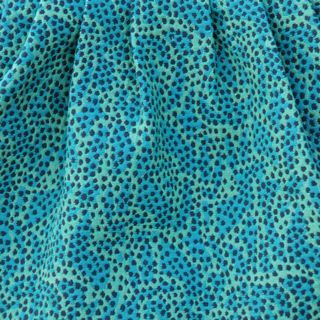 I think this fabric is fabulous and very Vintage-y. Available in Audrey & Scottie. ~Eugenie~ Gold, olive on creme vintage velvet. Brown velvet accents. 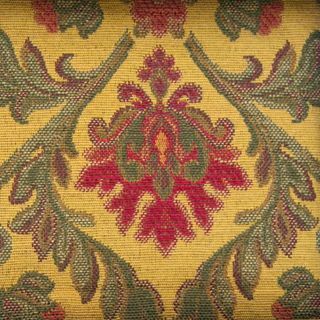 This fabric is regal, rich, & definite to turn heads. Available in Audrey and Scottie. 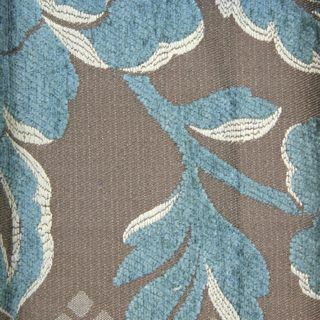 ~Mallika~ Browns, olive, and black vintage tapestry with some raised velvet. Brown velvet accents. 2012 Line available in Audrey. Also a few left at the ranch in Gatsby, Nina, circular and switch clutches. ~Isha~ Orange, pink, and green velvet stripes on a brighter pink background. Orange velvet accents. This bag is so much fun and brightens up any wintery day. Will surely keep those winter blues away, and would be the perfect accent to any spring outfit. Available currently in the Scottie, Zhivago, Gatsby, Nina, Switch & Circular clutches at the Ranch. Is available in the Spring 2012 lineup in Audrey. ~Zarine~ Pink with orange fabric, throw in a little gold threading. Another bag to keep those winter blues away and will accent your outfits throughout spring and summer. Available now in Scottie, Gatsby, Zhivago, Nina, Switch & Circular clutches. Available in the Spring 2012 lineup in Audrey. The Knitting Ranch’s take on the Offhand Designs Spring 2012 lineup is based on photos provided by Offhands Designs. Orders of current stock if ordered by Tuesday, December 20, 2011 will arrive in time for Christmas. Spring 2012 Lineup is anticipated to be ready to ship the end of January. To order and or see any of the Offhand Designs click on the photos above. The Scottie, Zhivago, and the Gatsby were luxuriously made in four different fabrics. The Malika, Isha, Reva, and Zarine. They are all beautifully lined and Offhand Designs made a few changes to the design, making them more functional and easier to stand up and open when you are knitting out of them. The frames come together and close with a fabric magnetic snap closure. It is Knitting Ranch’s hope that everyone has a very Merry Christmas and Holiday Season!